The Claymore is an attractive Victorian residence within its own award-winning gardens. 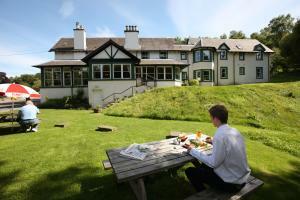 The hotel overlooks Cluniemore Hills, yet only 2 minutes' walk from Pitlochry town centre. All bedrooms have heated towel rails, hairdryers, tea/coffee, TV and DVD. Wi-Fi is also available throughout. Relax in an atmosphere of comfort and quality. Rooms include 2 four-poster suites and 2 ground-floor rooms. 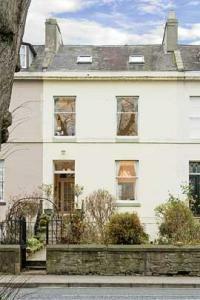 This Georgian town house is situated in an attractive terrace alongside the parkland of the South Inch, and a 2 minute walk from the River Tay and the city centre. The elegant guest house combines the benefits of a central location with the peacefulness and intimacy of a rural setting. The Townhouse is situated in Perth city centre, a few minutes' walk from both the railway and bus stations and all of Perth's many attractions. The Townhouse provides elegant and comfortable en suite accommodation, with a plentiful breakfast included. Being at the heart of Scotland, Perth is the ideal location for both the tourist and business visitor alike. With an excellent location, right in the heart of Perth's city centre, this modern boutique hotel offers stylish and contemporary en suite rooms, free parking and superb, award-winning fine dining. The New County Hotel is within easy walking distance of all that the city of Perth has to offer. Perth Theatre, Horsecross Perth Concert hall, Perth Museum and Perth Leisure Pool are wall within easy reach. The city's bus and train stations are just a short walk away. The accommodation is stylish and modern and each room has a flat-screen TV. Free Wi-Fi is available in the public areas. Opus One is the hotel's fine-dining restaurant and offers modern cuisine in attractive contemporary surroundings. Although only open since April 2008, Opus One is fast gaining awards and accolades, including 2 AA Rosettes. 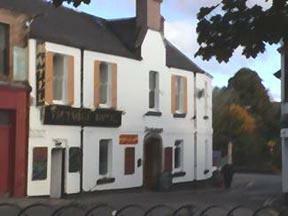 The hotel also has a bar with a real authentic pub atmosphere and a gastro-pub offering delicious food. Light and airy, the stylish Caf? 22 is a great place to relax with friends and enjoy a gourmet coffee, scones or a light meal. Combining luxurious 4-star accommodation with individually tailored service, this beautiful traditional Scottish country house is set in 10 acres of tranquil private woodland, within walking distance of the town centre. 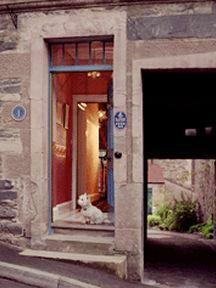 Step through the doorway of this small elegant hotel, and into the arms of a classic warm Scottish welcome. A former Victorian mansion house surrounded by gardens and peaceful woodland, the Pine Trees Hotel is a secluded private haven where you can relax, unwind and enjoy a restful, restorative break away from it all. 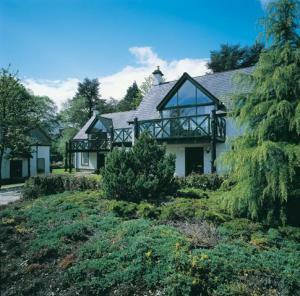 Set in the Highland town of Pitlochry, this small and select hotel has just 20 rooms, ensuring attentive, individual service and an exclusive and unique experience in refined, luxurious surroundings. This country house hotel has a great location for golf trips, walking excursions, special celebrations and outdoor pursuits such as fishing, white-water rafting, cycling and much more. All rooms are en suite and the entire hotel is non-smoking. The AA 4-star Wellwood House is a Victorian manor house set in 2 acres of quiet gardens in central Pitlochry, with stunning views of the Vale of Atholl and Ben Vrachie. 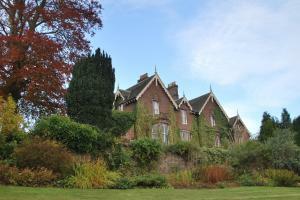 Originally built around 1881, Wellwood House is surrounded by private gardens, with a stream and a pond. Red squirrels, roe deer, moorhens, and wild ducks are often seen in the gardens. 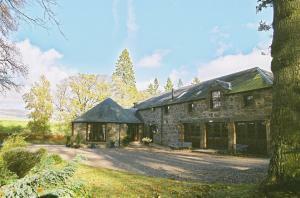 Centrally situated, the Wellwood is a peaceful base from which to explore the central Highlands of Scotland. In the evenings, you can relax in the guest library, with its unique honesty bar. 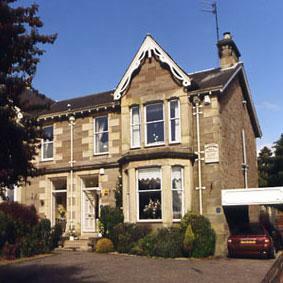 Wellwood House has had AA 4-star guest house status since June 2004 and Scottish Tourist Board 4-star guest house status since June 2005. Ideal for Business or Pleasure and 2 minutes from the Town Centre , with stunning views over South Inch Park With excellent amenities and free parking the hotel provides accommodation, dining and meetings in a superb Perthshire Overlooking Perth's South Inch Park the hotel is but a 5 minute walk from Perth centre. High quality 4 star hotel for both business and pleasure. 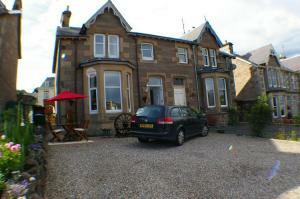 Spacious well appointed bedrooms, excellent food in 2 Restaurants and friendly, personal service. Cable television with DVD, CD player and Free Wireless Broadband access (Wifi) in all rooms. The Acanthus Restaurant caters for fine dining (AA Rosette) whilst No. 1 The Bank offers a more informal dining option. Aaron Guest House is a small, friendly, family-run guest house very close to Perth town centre and the bus and rail stations. The guest house is easily reached from the major motorways and offers good access for onward travel to the north and south. All rooms are equipped with your comfort in mind, and the leisurely breakfast will set you up for the day, whether you are working or busy seeing the sights of Perth. Stay at the Ramada Perth and experience everything you'd expect from an international hotel company. **3 Star Property**Free Guest Parking**. Formerly a 15th Century watermill, the hotel is right in the centre of Perth and is the ideal location for leisure and business guests alike. The business services and conference facilities will meet the highest of expectations with secretarial support available, should you require it. Your bedroom is designed to provide the comfort you require for undisturbed sleep by night as well as the facilities and entertainment that you demand by day. All 76 bedrooms have an en suite bathroom, satellite TV, hairdryer, trouser press and direct dial telephones as well as tea and coffee making facilities. Suites are also available. Nearby you'll find Scone Palace, Branklyn Gardens and the Glenturret Distillery. For the children, the Perth Leisure Pool and Dewars ice rink are also close by. The Perth Museum & Art Gallery and the Caithness Glass Visitor Centre are well worth a visit. The hotel now operates a non smoking policy in all public areas. City centre location, simply a short walk from the River Tay. The Queens Hotel is the perfect choice for those on a short break or wishing to explore the 'Fair City'. 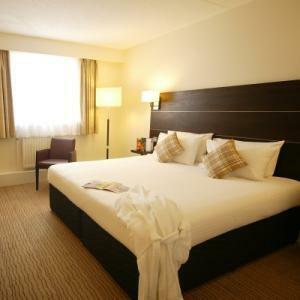 Located close to the city centre, adjacent to both the bus and train station, and only a short walk from the River Tay, the Best Western Queens Hotel, the only hotel in Perth with a leisure complex, is the perfect choice for those on a short break or wishing to explore the 'Fair City' and its surrounding area. The facilities and equipment available for conferences are second to none - and you can be sure that the standard of service you will receive is extremely high. Our Lounge Bar is a popular meeting place for locals as well as our guests, who appreciate the wide range of fine wines, traditional cask ales and malt whiskies on offer, as well as the relaxing ambiance. The elegant Windsor Restaurant provides an intimate atmosphere which perfectly complements the excellent food and wines available. For something less formal, try the range of bar meals available in our Lounge. The Queens is an ever-popular venue for wedding ceremonies and receptions, and a variety of private functions, with a range of private rooms, from the Braemar Room, which can accommodate up to 12 people, to the Balmoral Suite for up to 180 guests. We also host regular special events and dinner dances throughout the year. Please contact our Sales Team for more information.